A milestone happened last week and I didn’t even realize it until today. Last weeks post was #200! So, today is #201. Yay! I’m surprised in a great way. I’ve enjoyed writing this blog every week, well almost every week. Thank you for reading and following me! I want to thank all of you who came by my booth in Grand Rapids. Laughs, sharing stories and photos, demos and of course talking quilting. I love meeting all of you who have used my Brilliant Bindings tool and LOVE the success you have with bindings. And making my patterns and sharing photos of your work. Thank you! Here are a couple photos shared with me at the show. YES! 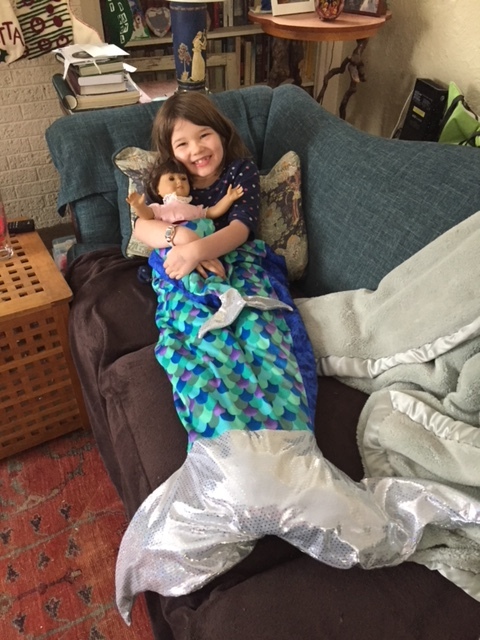 A happy granddaughter in her Mermaid tail! Twirl-A-Tool in awesome fabrics that make the twirls sparkle! 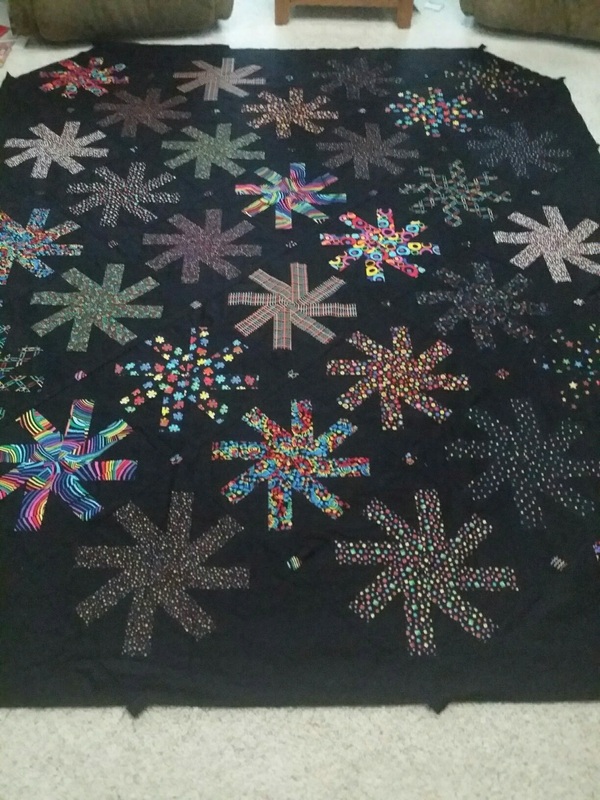 #2- Attending quilt shows is FUN! Inspirational for all who attend…even vendors! This entry was posted in Quilt shows, Tools. Bookmark the permalink. 1 Response to Two Tip Tuesday – post 201!! Wow, 201 blogs…you are awesome…XO. Mom.